We’re blowing our own trumpet this week because we have some hugely exciting news. Our wee Storytime venture – the dream of three people in a little studio in London – has taken flight and we’ve officially gone global. 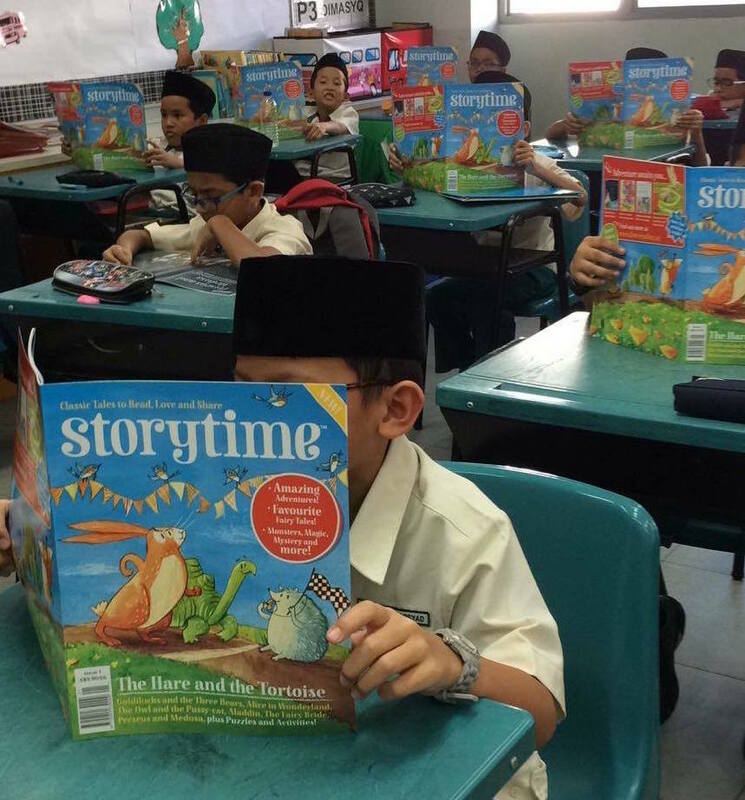 Storytime magazine is now available to home and school subscribers in Singapore, with other territories to follow. We’re absolutely thrilled as we’re working with one of Singapore’s biggest and most respected educational publishers, ILoveReading.Sg. Together, we’re plugging a gap in the market for a children’s story magazine to make learning English language easier, more appealing and more engaging. Pupils in Singapore reading Storytime as part of their programme to learn English. We have to admit that seeing images of school children reading our magazine in Singapore is pretty mind-blowing. It strengthens our theory that stories are a universal force for learning, good, empathy, diversity and creating globally-minded citizens. We’re delighted to be part of it. Storytime in Singapore has launched at Issue 1, making it our first official international edition. However, since launching in 2014, we have amassed subscribers in over 40 countries (we ship worldwide!). We’ve also been fortunate to find a distributor in Hong Kong, who has been placing Storytime in schools there. Again, we’re helping children to perfect and polish their English. Though Storytime magazine is UK-based, made in the heart of London, we’ve always considered ourselves global in outlook. Perhaps having a Brazilian art director helps. Perhaps it’s the fact that we’ve always made a point of collaborating with illustrators from all over the world. Maybe it’s because we take such pleasure in featuring Around the World Tales. Now we’re in Singapore though, we feel we can truly claim ‘Storytime goes global’. 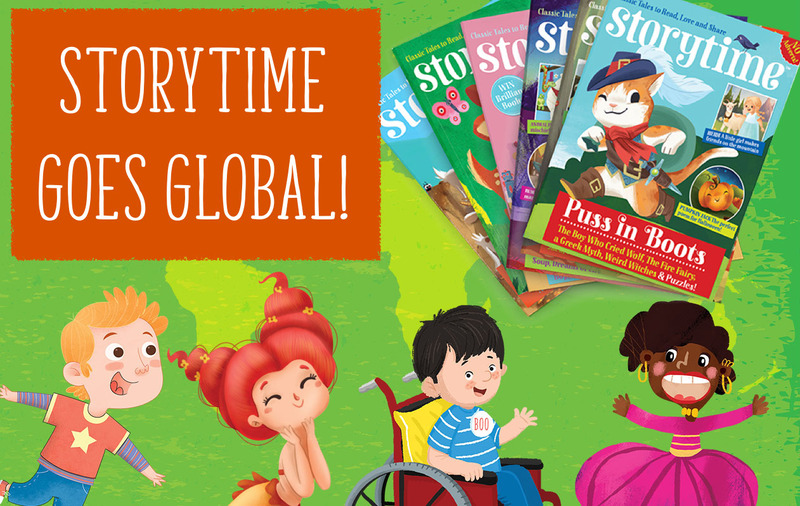 Needless to say, we’re hugely thankful to all our readers, wherever they are, and glad that they’re part of the international Storytime family. Stories are for everyone, everywhere. If you’re interested in licensing Storytime for your territory, see our Content Licensing page for more information. Alternatively, contact us directly at hello@storytimemagazine.com. We’d love to chat and play a larger part in helping children everywhere enjoy learning the English language. We’ll put the trumpets away now. Have a great week, story lovers! Storytime Issue 34 is Out Now!